The Island Princess is a cruise ship owned and operated by Princess Cruises line. 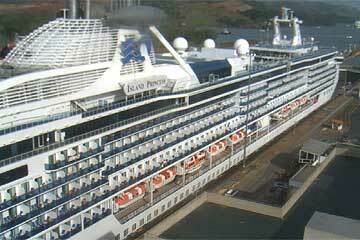 The Island Princess and Coral Princess are the only two Panamax ships operated by Princess Cruises. 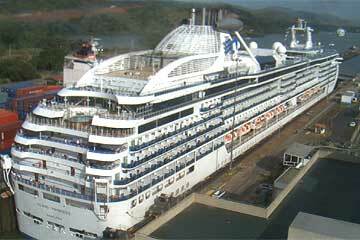 The Island Princess is seen here in the Miraflores Locks on Wednesday April 30 2008 on her Panama Canal Transit. 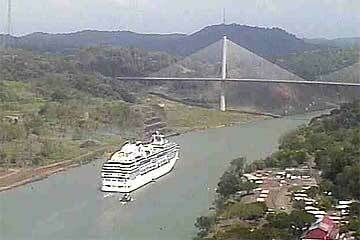 Images from the Panama Canal Live Cameras. 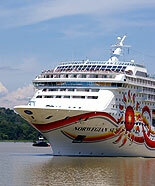 Some of the Island Princess Destinations are: Alaska, the Caribbean, Mexico, Panama Canal and more.